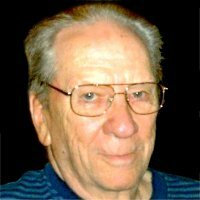 Fred J. Miller, 86, of Fairview Heights, Illinois, born Tuesday, August 30, 1932, in Mesa, CO, passed away Tuesday, January 15, 2019 at Morningside of Shiloh. Fred was as a retired grain inspector for Corno Feeds and worked 16 years as a building engineer for Sears. An Air Force veteran, Fred served as a radio technician in Germany during the Korean Conflict. He loved square dancing with his wife and spent many hours woodworking, creating many beautiful objects for his family. Their first date was an airplane ride that resulted in an emergency crash landing. After surviving the first date, the couple went on to enjoy over 50 years of marriage. Memorials: Memorials may be made to the American Cancer Society or American Heart Association. Visitation: Visitation will be 10:00 am – 12:00 noon, Saturday, January 19, 2019 at Kurrus Funeral Home in Belleville, Illinois. Funeral: Funeral Services will be held at 12:00 noon, Saturday, January 19, 2019 at Kurrus Funeral Home. Interment will follow at Lake View Memorial Gardens, Fairview Heights, Illinois. So sorry for the loss of fred heartfelt prayers and thoughts go out to the miller family.